The design of your living space is crucial there is no doubt about it but the design of your bathroom vanities also values the same. 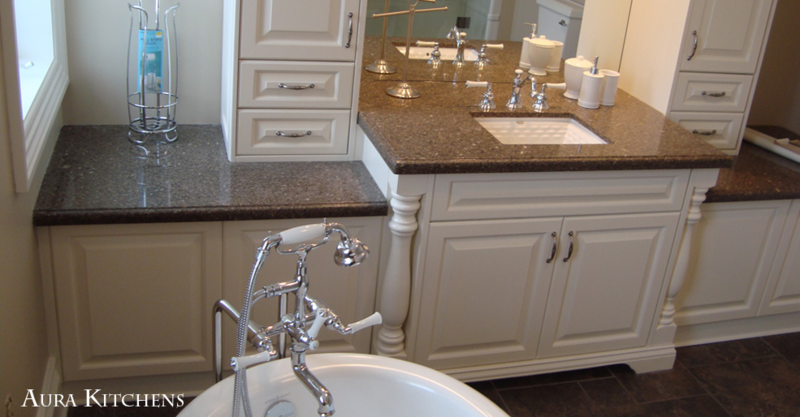 The design of bathroom vanities demands rigorous planning and attention to detail. Additionally, ideal bathroom vanities require endless effective decisions, covering from the layout and style to the varieties of wash-basins (sinks) and countertops. 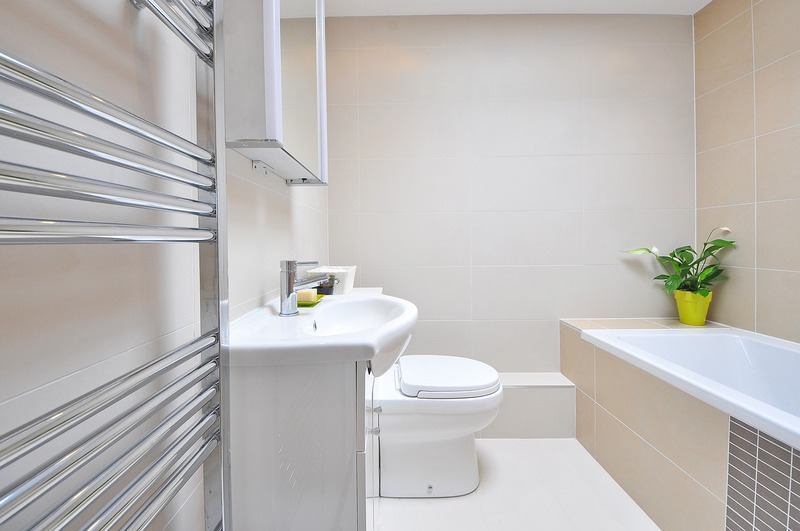 If you are facing problems because of a congested washroom then don’t worry, today in this article I am going to uncover all the advantages of wall-hung sinks and vanities. If space is the major necessity in your bathroom, you can definitely go with the functionality of a wall hung wash-basins (sink) or vanity as it helps to free up floor space. Apart from being area- centered, it also makes sense, both from a design point of view and for functional purpose. Now we are going to discuss some of the points that will surely make ‘Wall-Hung Sinks and Vanities’ your prime choice. A wall-hung sink or vanity plays an efficient role in a space-conscious washroom as it is more practical in a small bathroom. Moreover, flat paneled cabinetry is smooth and sleek and adds more space in your washroom. Everybody wants a bathroom that is easy to clean. Professional cleaners prefer wall shelves and closets in order to keep the surface cleaning easier. Overall, cleaning becomes easier when things are off surfaces. A wall-hung sink is not difficult to clean from each and every perspective, inside, outside as well as underneath. Make use of a substantially recessed cabinet above to corral all of the toiletries that could generally sit upon the top of the sink/vanity units, and you’ve made cleanup a piece of cake. Wall-hung vanities are not only easy to clean but also gives an unseen look to your bath space. All these kind of astonishing features makes wall-hung vanities today’s trend. Wall-hung sink units are available in countless designs you’ll find it really hard to pick out the mobile deal you prefer best, modern, vintage, vessel, spherical etc. There are a number of points to consider when it comes to wall-hung sink or vanity for your new bathroom or renovation project. And it’s nice to hear that a traditional vanity isn’t your only alternative. With Aura Kitchens and Cabinetry, renovate you can bathroom space with creative and modern bathroom vanities in the Greater Toronto Area (GTA). Creating a stylish and beautiful bathroom is certainly a matter of choice but won’t you face boredom and monotonous if your bathroom is dumb? Don’t let your bathroom be lifeless and make the same special by choosing some of the best furniture items like bathroom vanities and cabinets to make your bathroom more special. There’s a way lot to think outside the box and add little items to your bathroom that will make the little room of your house more special and attractive. Usually bathrooms are smaller as compared to other rooms in your house, the bathroom cabinets and vanities you choose to install in your bathroom should be chosen very carefully as it plays an important role. You can always place higher bathrooms and vanities to save the lower space. Apart from choosing the right size of bathroom cabinets you must cater to the style and pattern you are choosing. The style should be chosen such that it coordinates with your bathroom theme and glorifies all the other accessories that you have used to make your bathroom special. One of the most inexpensive and best ways to adore your kitchen is through the side table. A wooden table can do better. Not only the same will be used as an item holder but would decorate your bathroom in an unexpected fashion. Your bathroom accessories like candles and magazines would look perfect on this side table. Make the best use of artwork to adore your kitchen in an unexpected way. You can always go for wall paintings. You can either do the same based on a specific theme or can go for the same based on your interest. Usually people ignore this aspect while decorating their bathroom. Choose for stylish towel rails and towel holders and this would certainly be appreciated every time you visit your bathroom. While choosing the same take care of the quality as it has act as the holder of bathroom textiles. This is an aspect of bathroom furniture that can make things really attractive for you. If you do not want to waste space placing an extra mirror then you can always opt for bathroom cabinet and vanities mirrors and act wiser. Today various patterned mirrors are available out there that would make your bathroom beautiful and reflecting the true you. Bathroom lighting is something that cannot be ignored when beautiful bathrooms are being discussed. Choose the lightning that glorifies everything in your bathroom. Apart from being attractive enough choose the lighting that makes things sufficiently visible. You can always go for ceiling lights and special side lights. Bathrooms have many small things or items that need to be used frequently and demands storage, just like y0our hair brush and your razors. Opt for stylish hanging carts that can act as the carrier of all your little accessories. This is certainly an inexpensive and an organized approach to keep your bathroom sorted and beautiful. Everyone would go for the basic items that must be present in a bathroom. To make your ‘little’ room special think out of the box and make best use of creativity. One of the most essential elements of any kitchen is the cabinets. The appeal and the overall functionality of the kitchen are defined through these kitchen cabinets. It is needless to mention here that the value of the kitchen is enhanced and it definitely provides a practical solution for the kitchen. Manufacturing companies come out with different types of cabinet designs that fulfil different needs and requirements. There are plethora of cabinets that are available for sale when you will go out in the market to purchase one. When we talk about the different types of designs, it is worth mentioning some popular options such as stainless steel cabinets, custom kitchen cabinets in Mississauga, and stock kitchen cabinets among others. Of all the designs that are available in the market, they can be divided into two distinct categories i.e. frameless and face frame. The latter option provides a conventional look as it has a wooden frame put on the outer side of the cabinet box. The frameless type cabinets are self-explanatory as and they come without any type of outer frame but they provide a modern look. There are different options available in doors as well. A person can pick from solid inserts or glass types of cabinets doors. Further, the glass inserts are of different types as well. When we talk about the material used by them to manufacture things, there are different options available here as well. Cabinets that are made out of stainless steel do not require the need for resurfacing or painting. The durability of custom kitchen cabinets in Toronto is everlasting and they are quite stronger as compared to other cabinets. In case you are not satisfied with these two options, there is another option available in the form of stock cabinets. Stock cabinets have become popular as they are highly functional and economic in nature. One of the main selling point of these cabinets is that they are available at a low price yet they are highly functional. You can purchase them in a mixed, separately and matched form. Custom kitchen cabinets in Mississauga are described as the most exquisite type of kitchen cabinets. Custom kitchen cabinets in Toronto are designed specifically according to your personal requirement. It is because of this reason that they match perfectly with your personal requirements. You can hire a designer to get these custom cabinets made for you or they can also be purchased from a furnishing store. This personal preference comes at a cost though and when you get custom cabinets made specifically for you; there will obviously be a higher price to pay. It is needless to say that they provide a unique identity to your home and kitchen. When you get kitchen cabinets for your home, just try and analyse what type of requirements that you need to fulfil with it. In case you are looking for something exceptional than you will obviously have spent some extra money, but in case you are just looking for functionality than it can be achieved at a low cost.